Welcome to the community of Stratford STEM School, Lower Campus. At Stratford STEM, we are committed to helping students achieve high standards through project-based learning, with many exciting opportunities for all students to achieve while focusing on STEAM (Science, Technology, Engineering, The Arts, and Math). We expect our students to Be Prepared, Committed and Accountable. We encourage parent involvement as an integral part of our scholars’ success. Expect to receive weekly newsletters and callouts to update you with upcoming events and student success stories. I encourage you to visit our school and become involved in our community. We achieve greatness by helping our students master the demands of a challenging curriculum through enrollment in Honors level courses while simultaneously creating a nurturing learning environment where inquiry, innovation and problem-solving are encouraged. We are partnering with Discovery Education and we will work together to develop high quality STEAM lessons, project based learning and parent and community involvement. Our students should expect homework, STEAM projects, after school activities and to have fun learning. And remember, we are individuals of character, scholars for life and leaders now and tomorrow. Stratford STEM School, Lower Campus prepares students to be high achieving, socially aware, scientifically and technologically literate, respectful and responsible citizens, and leaders in a global community. 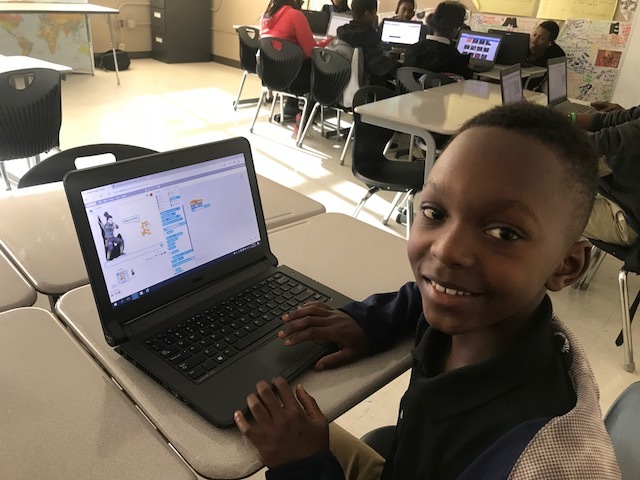 We have a Computer Science class for all students which will include coding, and a return of honors level classes in 6th -8th grade. Please also read our student pledge here which outlines our commitment to our students. Lower Campus students have access to all campus facilities including science labs, a state-of-the-art media center and a new sports stadium. Our rigorous STEAM-based focus will interest students in exploring a curriculum enriched with a design process approach. Our STEAM students partner with the top scientists, engineers, mathematicians and researchers in our region and utilize the most current technologies. Whether it’s the science of cooking or robotics, students have the chance to explore and learn in depth. STEAM also helps them learn to think in unconventional ways to solve problems. The skills we teach prepare them for success in a number of different careers, and help them see and understand how subjects work together to help solve problem. Stratford STEM also offers arts programs, blended learning opportunities, Project Based Learning and Encore for its gifted and talented students. On Thursdays we have set aside time to be known as “STEAM-TIME” when students will explore a topic related to STEAM on a nine-week rotational basis. Topics include: the science of sports, cooking, coding, and robotics to name a few options! Community business partners will also help during this time – bringing real-world expertise into our school. Look for information coming soon regarding extra-curricular activities with STEAM family nights, STEAM Saturdays and STEAM summer camps! The dress code has changed to match the Stratford upper campus code.